Thank you for your inquiry. We have passed your message on to Kim Moody Design. 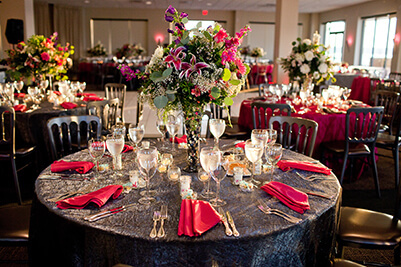 Since 2004, Kim Moody Design has offered full-service event planning and total event design for modern couples. 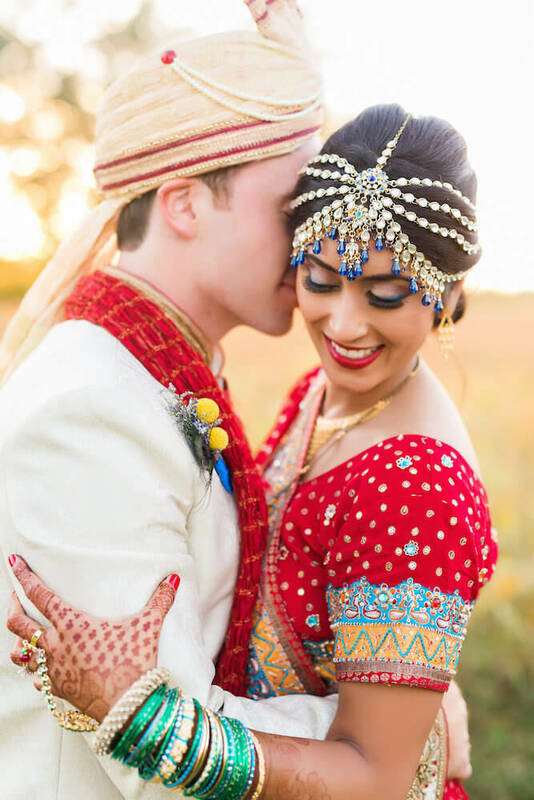 Be it lavish or low-key, trend setting or traditional, seamless style and execution are trademark qualities of any Kim Moody wedding. Your wedding day is a reflection of you as a couple - which should include a hassle-free, enjoyable experience for both you and your guests as you celebrate the most important day of your lives. "I don't even know where to begin to thank you! From early in our engagement I knew I wanted to work with you, and I'm so glad it worked out. Kim, your taste and eye for design and detail pulled our entire reception together, and you both are amazing with logistics. Most importantly, it was so FUN to work with you all! You put us and our families completely at ease and helped us out whenever we needed it. 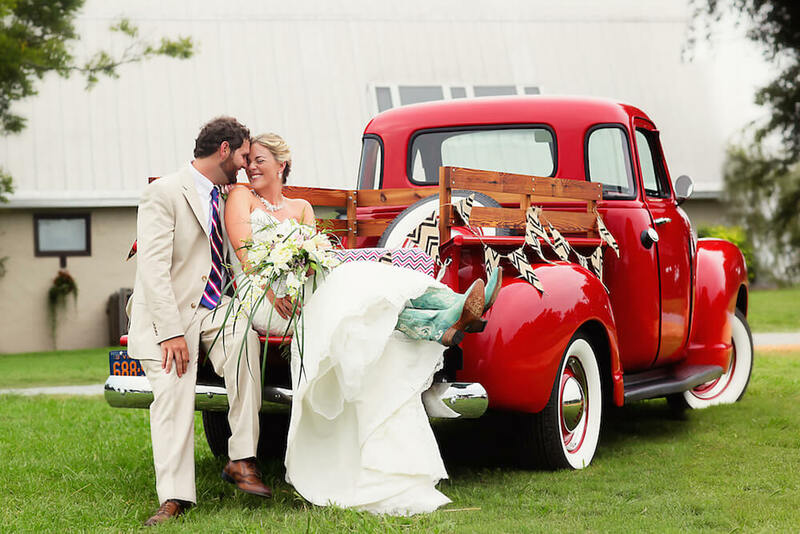 We can't thank you enough for all the time and love that you put into our wedding!" They made the entire wedding process go very smoothly and were a huge help on wedding day making sure everything went right. Honey and Erin were the planners for our New Year's Eve wedding. The Bride's nickname is Princess Sparkle and they created a perfect and beautiful space for her New Year's Eve Wedding. They recommended vendors, coordinated contracts, created beautiful floral decorations and bouquets and handled all the details professionally, prompted and with poise. It was a stress free and memorable event for all of us. Honeylyn and their other florists worked with us for a customized order that was within our budget. The flowers turned out beautiful and exactly how we wanted! My floral arrangements from them were beautiful. I primarily worked with Honeylyn, who was very communicative. They're great at what they do and created the perfect fall bouquets for my wedding! Honey and the KMD team helped us pull together a truly unique experience on our family farm. They have a great eye for design and know how to pull all the details together regardless of the number of outside vendors involved. Our wedding day was incredible and we attribute much of that to the KMD team. The team was everywhere at once! Hiring Kim Moody Design for our day-of-wedding planning was absolutely one of the best decisions we made for our wedding. The KMD team has many, many years of experience in the business and it shows - I would trust them and recommend them to any couple seeking the support of a wedding coordinator. They are so on top of it and the team went above and beyond on our wedding date. Not only does the team excel beautifully at the "big stuff" (dealing with vendor contracts, managing any crisis that comes up, etc.) the team brings such a personal and thoughtful touch to the organizing. I don't know how they did it, but the team was everywhere at once on our wedding day: communicating with the caterer, bartenders, officiant, and transportation, making sure my sweetie and I always had a refreshing drink in our hand and that we got to eat (a huge deal! ), making sure the tiny details of the ceremony were executed perfectly, setting up decor, guest gifts, and more. KMD has so much experience, they catch and take care of details you might not even know to consider. KMD did everything: they were efficient and professional, competent and seasoned. What really makes KMD special is that in addition to delivering on the services, KMD brings a sincere care, affection, joy, and care to their work. You feel loved for and cared for by the team, that they are personally vested in making your day perfect for you. For me, hiring a wedding planner was a difficult decision. I wanted someone who would go to bat for me, be unquestionably capable, and also be caring and thoughtful. We got all of that with KMD. Hire KMD. You absolutely will not regret it. I can't thank them enough for how they made our day: we were actually able to enjoy it and be present to it knowing that the wedding production was being taken care of in the most capable hands. With my wife's mother living more than five hours away from the wedding, a wedding planner was a must-have, and Honey worked with us during almost all of our nearly two-year-long engagement to make our wedding a huge success. The day of the wedding was stress-free for everyone thanks to Honey, Mary Ruth, and Kim's diligence and attention to detail. Their attentiveness to my wife's personality led them to recommend the right vendors for every single step of the process, including finding a last-minute emergency hair and makeup stylist. Created our dream wedding day! We cannot emphasize how much we absolutely loved and appreciated the KMD team during our wedding planning journey! We were so lucky to have Honey Armstrong by our side from the beginning as we were looking for full planning services; planning a wedding can potentially be so stressful but under her guidance, it was a really fun and easy process. Honey is creative yet practical, responsive, patient, and overall, a joy to be around. She also has great professional relationships with other wedding vendors and we loved working with each of her vendor recommendations (catering, DJ, transportation, lighting, hair/makeup). KMD also does floral arrangements, which were beautiful! Many of our guests said it was one of the best wedding experiences they've had. Honey and the KMD team seriously created our dream wedding day and we are forever grateful to them! When my daughter came to us with her engagement news, we were so excited and immediately began thinking of wedding plans. When, where, who, how……oh boy, there were so many questions to be answered! After talking with Kim Moody at Kim Moody Design, we agreed that there were numerous variables that we had never even considered, and with all of us working fulltime, we needed help!! It was the BEST decision we could have made. Kim is such a professional and experienced wedding planner, and she was able to keep us on track all along the way, giving us numerous options to consider for every facet of the wedding, while keeping an eye on our budget! If we were feeling overwhelmed, she could quickly sense that and put our fears to rest! Her planning skills allowed her to stay on schedule and laid out everything for us to see, on a monthly, daily, and even hourly (as on the day of the wedding) basis! Her vast experience enabled her to make recommendations for Equipment Rentals, Photographers, Caterers, Bakers, Entertainment, and more. Once choices were made in all areas, Kim became the point of contact and handled all transactions and planning with ease and expertise. When bad weather became a serious possibility, Kim was on top of making plans to provide for alternate solutions. Kim Moody and her staff provide an outstanding service, and we HIGHLY recommend her! We were able to enjoy the wedding without worrying about the multitude of logistics that need constant attention! Thank you, Kim, Lindsey, Honey, and Erin!! In the beginning, I thought I could plan my wedding myself (with my mom and MIL). I bought books, notebooks, did research, etc. The more planning I did, the more overwhelmed I felt. I started looking for wedding planners. I had a few meetings with different ones. After meeting Honey from KMD, I was sold. She made everything flawless. She kept me on track, allowed me and others to bounce ideas off her, and so much more! My wedding day was stress free and fun. I had zero worries. Other than marrying my husband, choosing KMD was the best decision I made during the wedding process! Being in the wedding industry I have had the opportunity to work with KMD on many many occasions and I can't praise them enough. From the great communication and attention to details to the design of the weddings themselves these girls got planning down to a science! 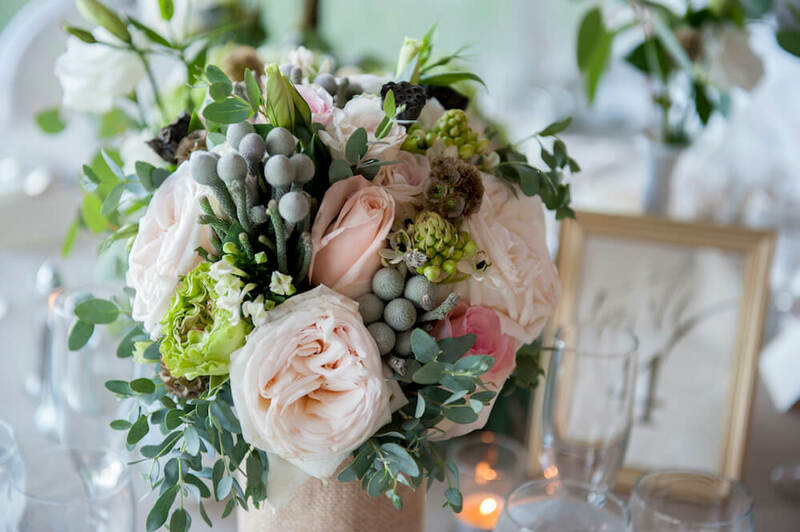 You won't regret choosing KMD as your planner, florist, rental company, coordinator, or design team, they do it all and excel at it! One of the best decisions I have ever made in life was to work with Honeylyn Armstrong of Kim Moody Design. I had a slight idea of what my expectations were about the process of working with a planner. I prepared for both the pros and the cons, and including having to work over long distance (we live in New York City.) And I can’t emphasize enough how much Honeylyn surpassed my positive expectations and gave me complete reassurance. Honey is extremely professional, and accurately recognizes what poses urgency and what doesn’t (seriously, trustworthy and a voice of reason). Additionally, she utilized several digital tools to make communicating easy and consistent (email, spreadsheets, docs, vendor contracts, seating/rsvp) . I always felt like we shared information fast and always remained on the same page. Honey was attentive to our personalities and responsive to the personal insight we shared and made it a priority to listen. Furthermore, she was flexible to everything we asked. She is a fantastic budget keeper. When I often asked, “what do you think,” she gave me an honest and fast answer, not motivated by price, convenience or taste, but by what she believed would matter to me and my husband in the end. I have a notorious bad habit of being late, and she kept me on time (!) and even without making me feel restricted or stressed. In regard to design details, she almost at times knew how to articulate ideas and visions I couldn’t. I didn’t cry when I said, “I do.” I did cry as soon as I saw the completed reception design for the first time! So, I emphasize my endorsement in every way. Honeylyn is not only, as a person extremely qualified and efficient as a planner, but she is also wholesomely genuine and caring as a human. It was a pleasure. While the price tag could be a stretch, I encourage future brides considering KMD as a full-planning service to believe it IS worthwhile to spend the money and to contact the KMD team. You won't regret it. Lots of love, unconditional appreciation and gratitude for Honey and KMD. The entire team at Kim Moody made sure our wedding ran smoothly! Our main coordinator was Honeylyn Armstrong and she was amazing. Although I booked the vendors and decided details running up to the day of the wedding, about 1 month and then really 1 week out, Honey stepped in to make sure everything was happening how it should and that details were finalized. I want to note they were there to answer questions - even months in advance - there was just one time they weren't as responsive as I'd like with sending details - but it all worked out great in the end. I would not have felt so calm the day of the wedding without having her there making sure everything was set up, there was coordination with vendors, and that we were following the timeline she created (with input, which was super awesome to know everything was planned and details were known ahead of time). I was the last wedding in the family and it was great to have someone there making sure things ran smoothly so that my mom could enjoy the day fully. They also did our flowers, and they were fantastic. I was sent a picture of the bouquet and asked if I liked it or if I wanted any changes. Right before it started, there were two little buds dying and Honey snipped them off so that pictures would be perfect - the details she thought of! Another example of how much I love this company: we had bought a polaroid camera, but guests weren't taking two photos so we could keep one - Honey spent time going around and taking photos of guests to make sure we had those too! One last example: I couldn't really eat in my dress when I was sitting. I asked Honey if I could have a plate when we did the sunset photos. She said of course, and even deshelled the seafood so that I could eat it easily. It just showed the company really went all out to make sure it was a perfect and enjoyable day. I would recommend this company to anyone who wants to be able to enjoy the day of their wedding fully. It was worth every penny! I'd definitely recommend Kim Moody to future brides and grooms. 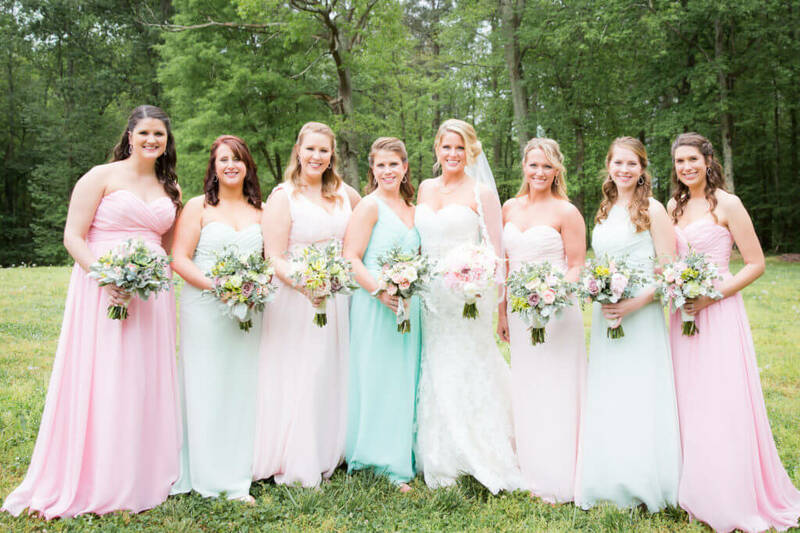 We worked with Kim Moody for our wedding at Keswick Hall near Charlottesville, Virginia. Kim was exceptional to work with throughout the entire process. She was intuitive and understood what we wanted with little explanation. She was patient, instilled confidence and was highly communicative. On our wedding day, we were blown away by the arrangements Kim and her team put together. Despite having given birth only a few weeks earlier, she was there on our wedding day making sure every little detail was perfect...and it was. I'd definitely recommend Kim Moody to future brides and grooms. Kim Moody Design was an amazing team to work with for my wedding! We used Honey and her team for planning and for the florals. I could not have imagined my wedding day without them. Honey had every minute of the wedding and reception planned out and on schedule. Just knowing Honey was there, I had no worries on my wedding morning. The florals that Kim Moody Design put together were breathtaking! Everything I could have asked for, they provided. I will always remember how the day looked, but also how I felt because of everything Honey and her team worked so hard to provide. I would absolutely recommend Kim Moody Design for wedding planning and for the beautiful florals. Kim Moody Design was the best to work with. I live in Utah, my mom is in Georgia, and we were getting married in Virginia. I was so stressed coordinating all the vendors when I started the wedding planning myself. After phone conferencing with my mom and Honey Armstrong (our planner) for the first time, my mom realized how imperative it would be to have her help us through the wedding planning process. Honey was great stepping into the work I had started, and immediately took a huge load off my shoulders. We spent hours on the phone with her. She took the vision of my wedding and added unique design twists to make it even better than we could have imagined. She worked with so many difference vendors behind the scenes to ensure our day went perfectly. She and Lindsey (her assistant for the day of) worked super hard to make the ceremony and reception spaces perfect for our guests. Honey made sure my ideas as the bride, came first. We also did our florals through Kim Moody, and everyone raved about how beautiful our flower were. There was a little bit of time where the company went through some staffing changes and were spread a bit thin and they weren't quite as responsive as I was used to. But in the end, our wedding came together perfectly and we know we could not have done it without Honey and KMD! I would highly recommend them to anyone getting married near Richmond. There is not a single thing I would have changed about our wedding day or the experience that Kim Moody Design provided leading up to it. Their team did a fantastic job with our day-of management, florals, and rentals. Honeylyn was our Lead Coordinator and Lindsey was her Assistant Coordinator. They also took our floral inspiration and put together arrangements that were unique and fit our vision. Both Honey and Lindsey went above and beyond to make sure that everything went on without a hitch and that no one in our wedding party or families had anything to stress about. They were thorough, professional, and put us at ease as they accommodated a few last minute curve balls with grace. Our guests are still raving about what a beautiful, fun, thoughtful wedding we had and the KMD team has so much to do with that. I would highly recommend them to anyone getting married near Richmond. We cannot say enough wonderful things about the team at Kim Moody. Our day was perfect, priceless and absolutely amazing...down to every little detail. Honey made planning and picking details FUN and found a way to always keep me on track. Our memories of the day are how great everything turned out...thanks to Honey and team. The day of our wedding was the most peaceful day! Everyone at Kim Moody is extremely nice and professional! They made the whole planning process a lot easier! The day of our wedding was the most peaceful day! They were very organized, had all the vendors organized and informed of everything going on. Would highly recommend this company! I cannot convey the sincere disappointment & anger I have gone through knowing I did everything in my power to ensure my wedding day was a success & my hired coordinator ruined much of my day's experience. Our event was a while ago now, but it is still with me. I hope someone else can learn from my experience. I had a conversation before contracting with KMD explaining in great detail the needs for our wedding, money being no object. The initial contact with Honey was great, very detailed & I felt comfortable with her recommendation to a Month-Of coordinator based on our needs. We spoke on the phone with the coordinator beforehand & I was admittedly not over the moon but knew we just needed someone to follow directions. It just went downhill from there. We had to speak to her several times about being responsive. Her response: it was busy season & she had a lot of other clients. She showed attitude towards several of our vendors and on the day of, it was disastrous. My family, who flew over 6,000 miles, had to step-in because our coordinator was nowhere to be found. She didn't even talk to me, the Bride, until I arrived to walk down the aisle at my scheduled time. She caused a fire on the head table & ruined our Italian velvet runners, after specifically instructing her not to light the candles due to winds. She didn't have over $6k worth of flowers moved to the reception space. The list goes on. My guests, vendors & family left complaining about everything that involved her. We were in touch with Kim for a month after our honeymoon. Kim confessed her firm's fault & yet, she offered us no solutions. In the end, when we said we would charge-back half our contract, she finally offered a credit for 5% of our contract. We would've pursued this further if we lived closer as this was very poorly handled. No bride wants to remember the bad from such a beautiful moment, so I am sure many others have just walked away. Now, so can I.
Kim Moody Design was absolutely amazing. Honey and Lindsey with KMD couldn't have made our day any less stressful and more perfect than it was. The KMD team brought our vision to fruition, while providing constant support, creativity and professionalism. We wouldn't have had the perfect day without Honey!! Kim Moody Design is incredible! They literally made my special day stress free and so special! They were attentive, responsive, professional and so creative! I could not have asked for a better experience or team!! Honey is the absolute best!